Action group not satisfied with the outcome of discussions with Aurivo. A protest against the proposed closure of the butter plant at Achonry looks set to be escalated. Aurivo recently announced that the company is to shut the south Sligo operation and transfer the packing facility to Ornua in Cork. The move would have implications for the jobs of the more than twenty workers currently employed in the unit, as well as the economy of the local area which has already suffered a spate of job losses through the closure of government offices and other services. But, now, a group established to fight the planned closure of the plant and possible loss of the jobs involved has warned that public demonstrations are likely in the absence of assurances from Aurivo on the future of Achonry. The issue is down for discussion at a public meeting in St. Nathy’s Hall, Mullinabreena, this evening; the third such meeting called by the action group in the last few weeks. A spokesman said the group has been involved in consultations with Aurivo but was not satisfied with the outcome. 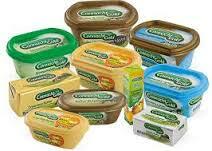 Aurivo produces the Connacht Gold product range. The company recently transferred its headquarters from Tubbercurry to Sligo, and before that relocated the co-operative’s milk processing operations out of Sligo to Co. Donegal. The CEO of Aurivo is Aaron Forde. He is also the chairman of Ornua, the new name of the Irish Dairy Board. Mayo-based ICMSA President, John Comer is also a member of the Ornua board of directors. Previous PostSligo County Council road and traffic reportNext PostICSA threatens to oppose crisis reserve fund support for dairy farmers.